When challenging situations arise we tend to use either our beliefs, or intuition or our values to formulate a response. Our beliefs mostly reflect our past experiences in dealing with similar situations. Our experiences are context-based, dependant on habits and traditions, and don’t necessarily provide the adaptability we need to deal with a new situation. Intuition can greatly enhance the effectiveness of our decision making, especially when it complements rational analysis, but can be influenced by personal or contextual bias. To make effective decisions we need to combine judgement, intuition, experience and knowledge together to ensure we get the best results. When we use values to make decisions, our decisions align with the future we want to experience. Values can act like a litmus test to help us make better decisions. A heuristic (a mental shortcut) to better decisions. Southwest airlines, as an example, use their values to make better decisions. When asked if they should add a greek salad to their inflight offerings they can test it again their values. Would it make the flight safer? Would it save money and keep the flights affordable? Would it be fun? A values heuristic can help us make better decisions in a shorter time in alignment with the desired company culture. Values based leadership can transcend both contexts and experiences by demonstrating the way forward. 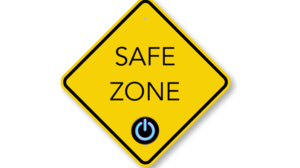 As such values can be used for making tough decisions in complex situations that have not yet been experienced. 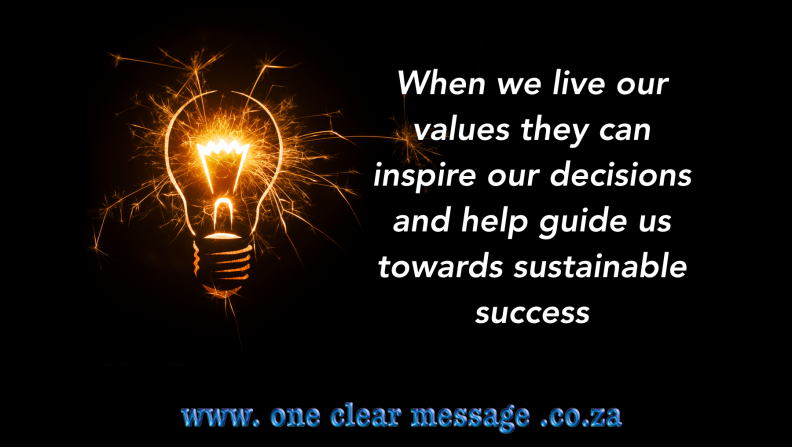 Values can act as a decision making framework that aligns our experience and intuition with the results we want to achieve. One of the greatest challenges of implementing leadership based on values is breaking through the barriers of cynicism and mistrust which can characterise the relationship between leaders and their teams. This cynicism is based on senior management’s ability (or inability) to embody the values they want their workforce to adopt. When values are implemented from top bottom with no engagement of stakeholders, many resist them as they see the values as an imposed (often unrealistic or manipulative) set of expectations. Engagement in this case means having conversations and unpacking what the values actually mean, beyond any jargon and assumptions. 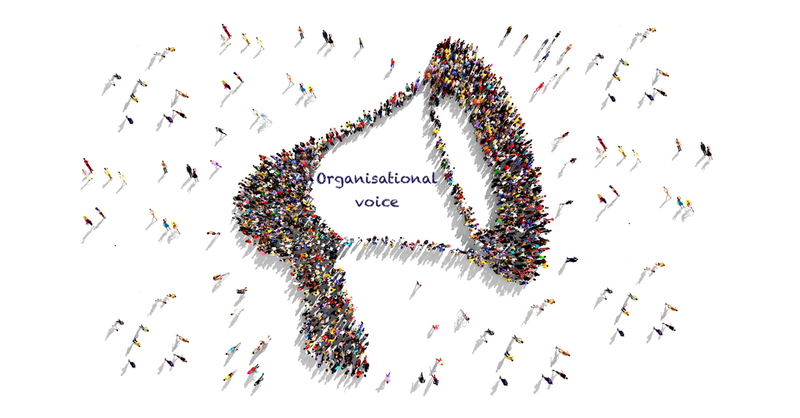 Values can quickly become jargon when they are not understood or explored. Trust and understanding is based on action, not empty words and pretty posters. This approach to leadership requires integrity and follow through. 1. Self-Reflection. We must have the ability to identify and reflect on what we stand for, what matters most to us and what our values are. 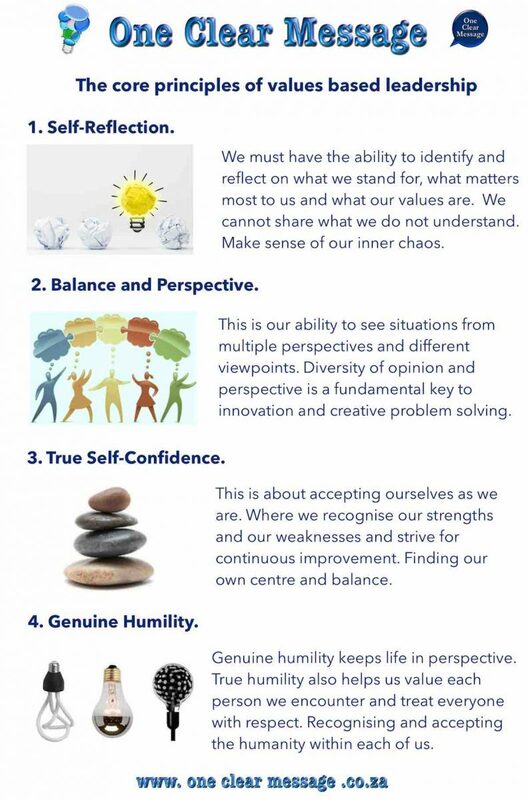 To be a values-based leader we need to regularly reflect on these questions and strive for greater self-awareness. After all, if we don’t know what matters to us, and what we stand for, how do we lead others? We cannot share what we do not understand. 2. Balance and Perspective. This is our ability to see situations from multiple perspectives and different viewpoints to gain a much fuller understanding of what is really happening. Balance means that we consider all sides and opinions with an open mind before we make a decision. Diversity of opinion and perspective is a fundamental key to innovation and creative problem solving. 3. True Self-Confidence. This is about accepting ourselves as we are. 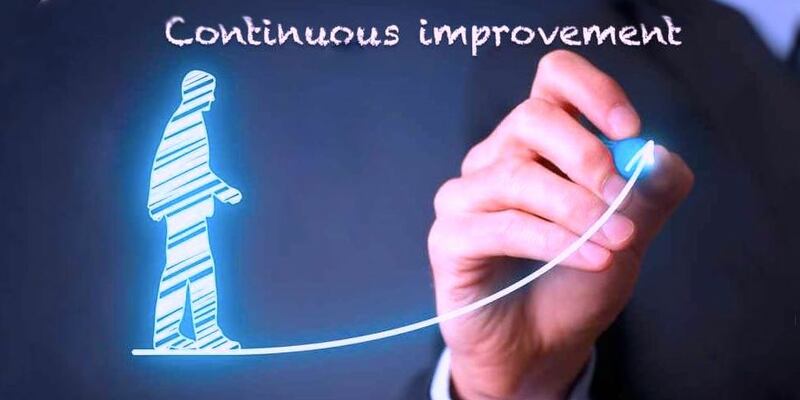 Where we recognise our strengths and our weaknesses and strive for continuous improvement. With true self-confidence we know that there will always be people who are more accomplished, successful, etc. than us, but we are able to be OK with that and can own our own value. 4. Genuine Humility. This is about never forgetting who we are, or where we came from. Genuine humility keeps life in perspective, particularly as we experience success in our careers. True humility also helps us value each person we encounter and treat everyone with respect. It is about recognising and accepting the humanity within each of us.